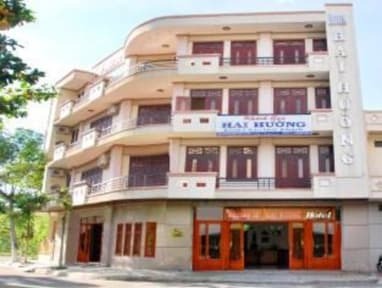 Hai Huong Hotel is located in the quiet and safe neighborhood of Nguyen Van Cu, just next to the Quy Nhon bus station and 200 meters from City Beach. City center is only 3mins by motorbike. A computer is available in the public area for use at no charge. 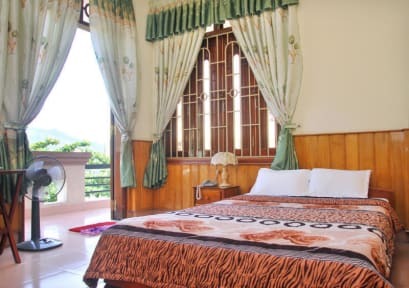 Hai Huong Hotel offers 25 rooms with free WiFi, air conditiong, cable TV with several English channels, en suite bathrooms with hairdryer and free toiletries, fan, minibar and kettle. Standard rooms have one double bed, bigger superior and deluxe rooms have two double beds and family room has three double beds suitable for bigger group or family. Some rooms have private balcony.